AYUTTHAYA, Thailand, March 18, 2017 — The name of the ancient Thai city Ayutthaya doesn’t easily roll off the tongue when when mentioning it in a discussion of world travel destinations. On the other hand, Burma, now known as Myanmar, is opening its doors to the world after years of isolation. 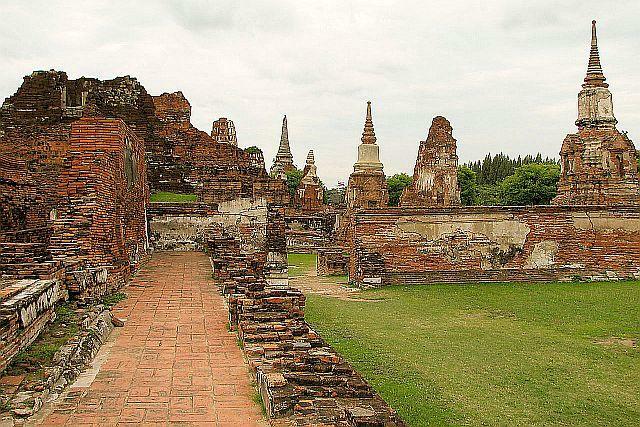 And Ayutthaya was important enough to be the capital of this entire region on at least three occasions. 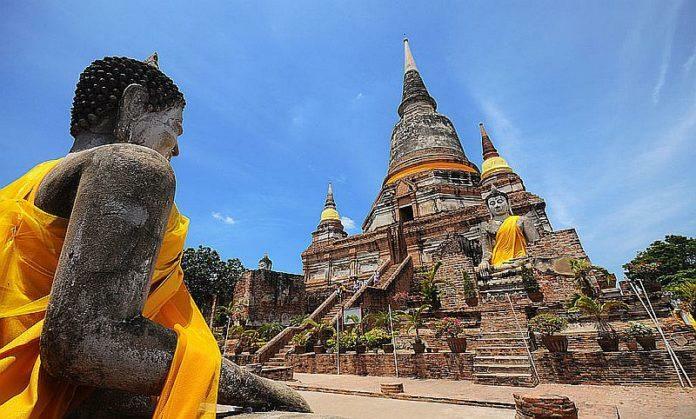 Once known as “the pearl of the east,” Ayutthaya was the artistic, spiritual and military hub of Southeast Asia off and on from 1351 until 1767. But in the 18th century the city was destroyed so completely by Burmese marauders that the Thai king relocated his capital in Bangkok, 50 miles north on the Chao Phraya River rather than attempting to rebuild. 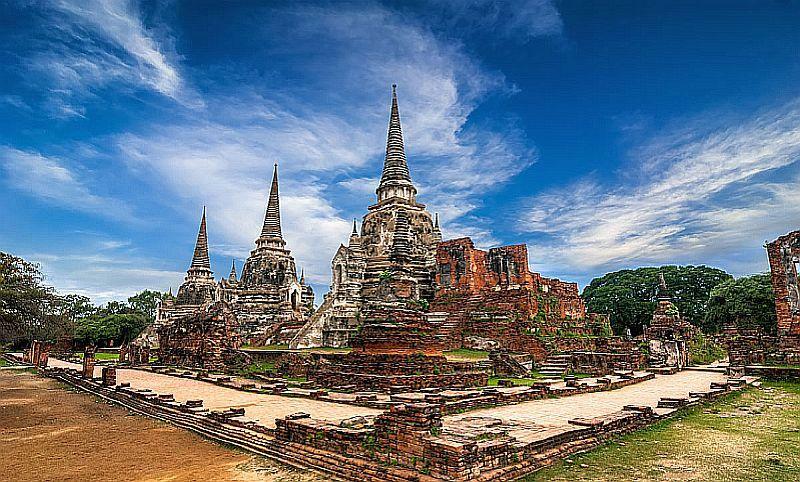 Ayutthaya came to power by conquering northern kingdoms and city states in the region and along the river. Kamphaeng, Phet and Phitsanulok were among places that fell under Ayutthayan rule before the end of the 15th century. Not long afterward, Ayutthaya attacked Angkor which was regarded as the central power in the region. When Angkor fell, Ayutthaya became the dominant power in the region controlling most of the territory along the shores of the Chao Phraya River plain. 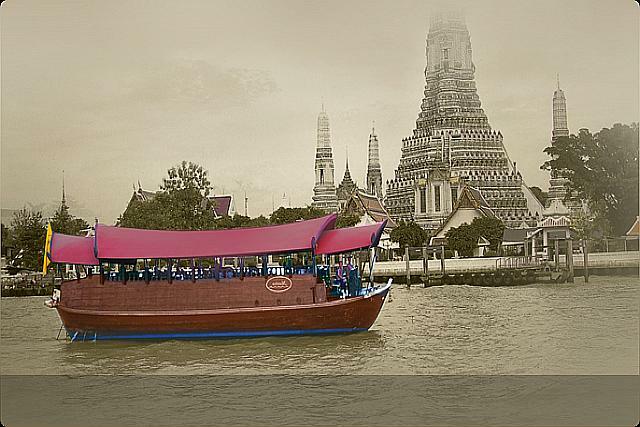 Even today, the best way to approach and visit Ayutthaya is along the river. Also known as the River of Kings, it meanders its way from the Northern Highlands of Thailand through the Gulf of Siam. 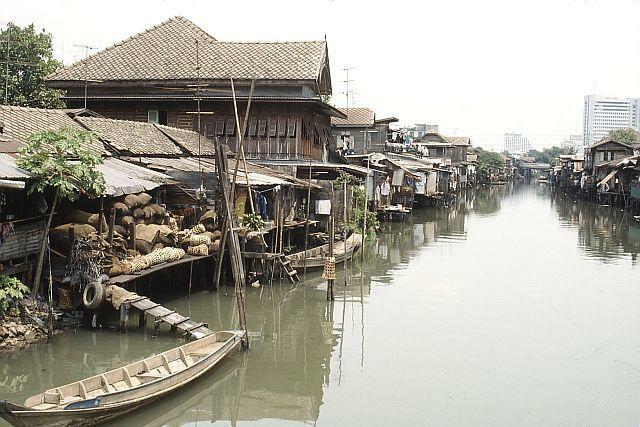 Make no mistake, the Chao Phraya still serves today as Bangkok’s lifeline. No visit to Bangkok or the Ayutthaya region is complete without a cruise on the Chao Phraya aboard the Manohra Song, a lovingly restored 50-year old, 50-foot rice boat that cruises past exotic temples and the alluring klongs (canals) of the river. Comprised of teak and other rare woods, the Manohra Song features just four staterooms and provides outstanding culinary delights. Appointed with fabulous antiques, exquisite tapestries and weavings and stunning local crafts, the Manohra Song is considered the most luxurious craft operating on the river today. Fortunately for the Thais, the rich food supply resulting from the planting of rice was used to pay taxes and to support religious institutions for two hundred years between the 13th and 15th centuries. In northern Thailand, minimal rainfall had to be supplemented by an irrigation system that controlled water levels and flooded paddies where the rice crop was glutinous. In the river basin region however, so-called “floating rice” had been introduced by Bengal and the thin, non-glutinous crop grew fast enough to maintain the pace of water levels in lowland fields. Consequently, the new strain of rice produced a surplus that allowed Ayutthaya to prosper, thanks to its location in the southern floodplain. Geographically, the river delta, which was considered uninhabitable, was reclaimed for rice cultivation and the region thrived thanks to its newfound crop. Ayutthayan kings were monarchs with absolute as well as semi-religious status. In addition to their natural leadership, they derived authority from Hinduism and Buddhism, which, under what was known as “The Cirlce of Power” or “mandala system,” forced allegiance to the king even though Ayutthaya itself was not a unified state. 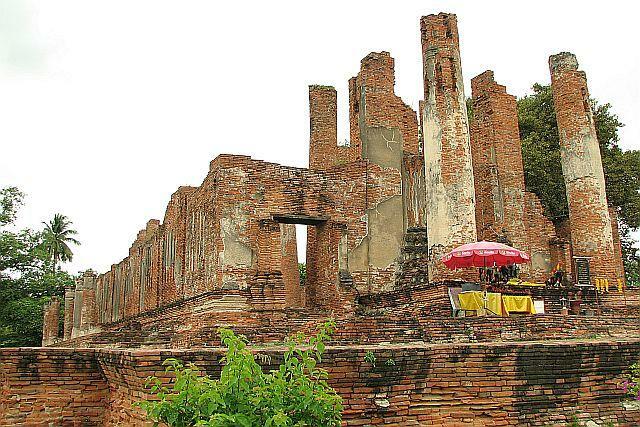 The contemporary city of Ayutthaya has been re-established near the old city ruins. 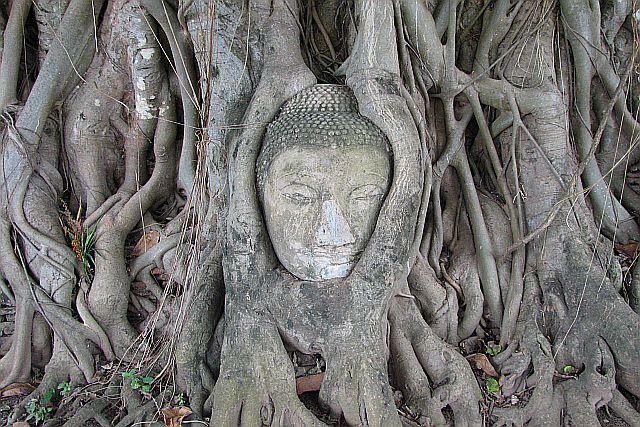 Today it serves as the capital of Thailand’s Ayutthaya province. 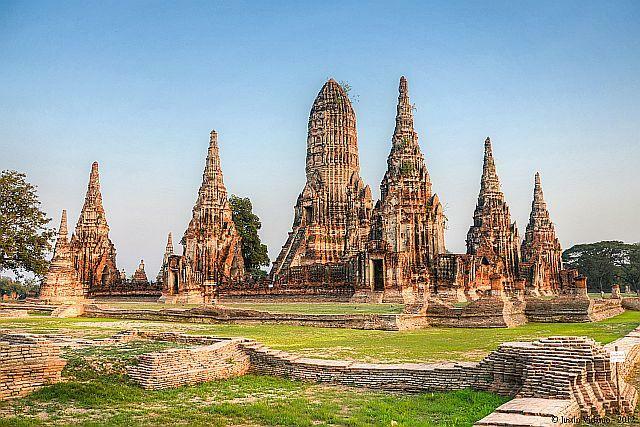 While contemporary reconstruction efforts continue to restore the ancient incarnation of Ayutthaya to its once grand status, the ruins of the historic city and other associated historic towns are now listed by UNESCO as a World Heritage Site.